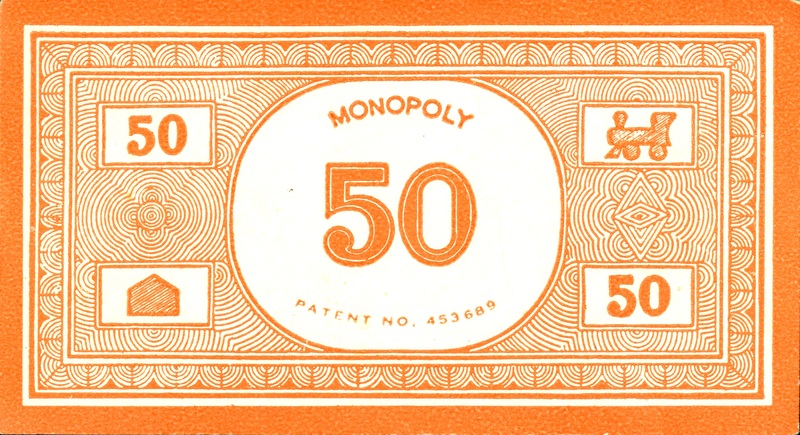 In his three-decade career, 20th century graphic designer Abram Games’ work spanned everything from designing stamps for Ireland and Israel, to creating the first on-screen moving ident for the BBC in 1954. 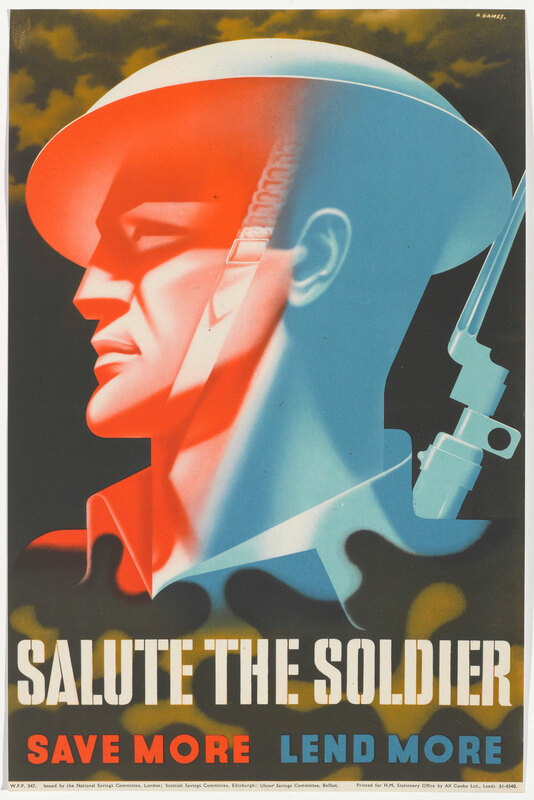 As well as his commercial work as a graphic designer, one of the other hats Games wore was as the ‘Official War Poster Artist’ for the War Office during the Second World War. 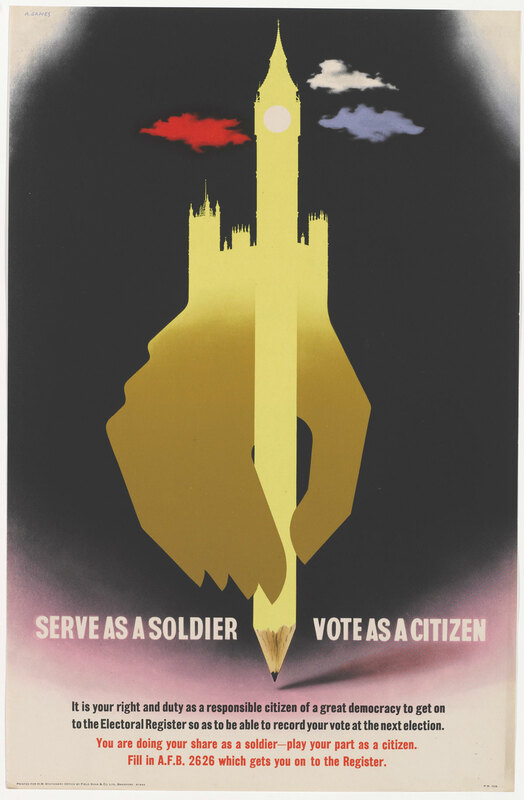 A staunch socialist who had joined the army in 1940, Games saw designing propaganda posters as an opportunity to communicate ideas which might help win the war, as well as bring about social change in Britain. 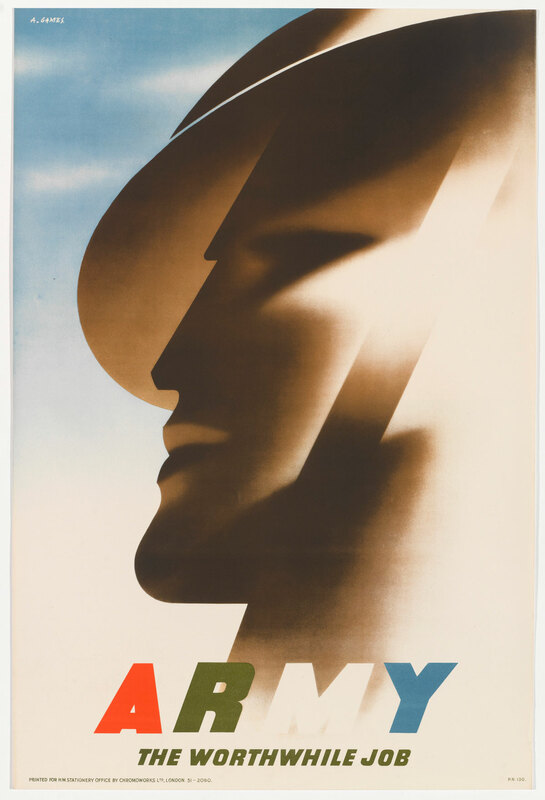 The designer created over 100 posters between 1941 and 1945, which have become well known among the design world as well as the wider public, and are noted for their clever use of airbrush, stark imagery and bold hand-rendered typography. 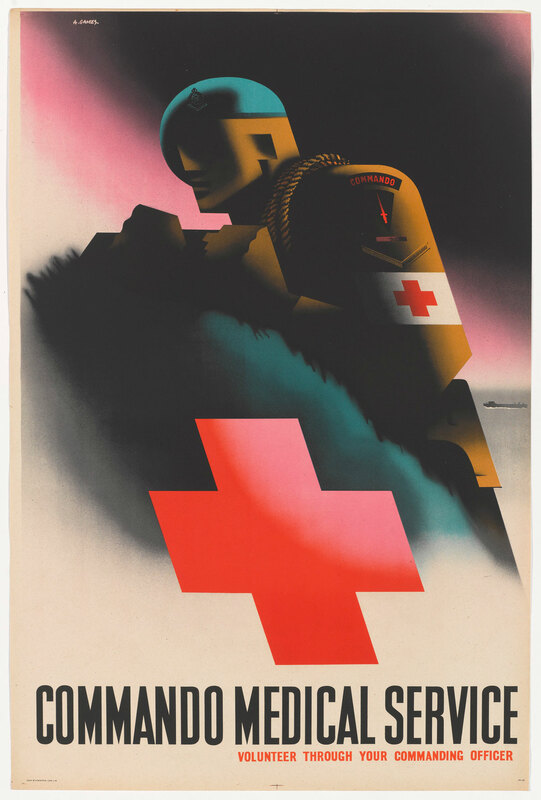 Games’ extensive collection of wartime posters is the subject of a new book written by his daughter, Naomi Games, who has looked after the designer’s archive since his death in 1996. 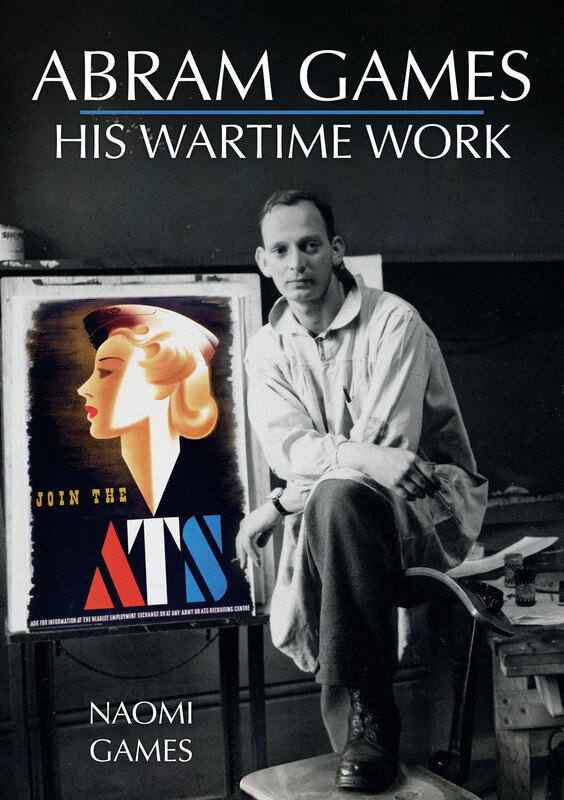 An upcoming exhibition at the National Army Museum will also coincide with the book’s launch. 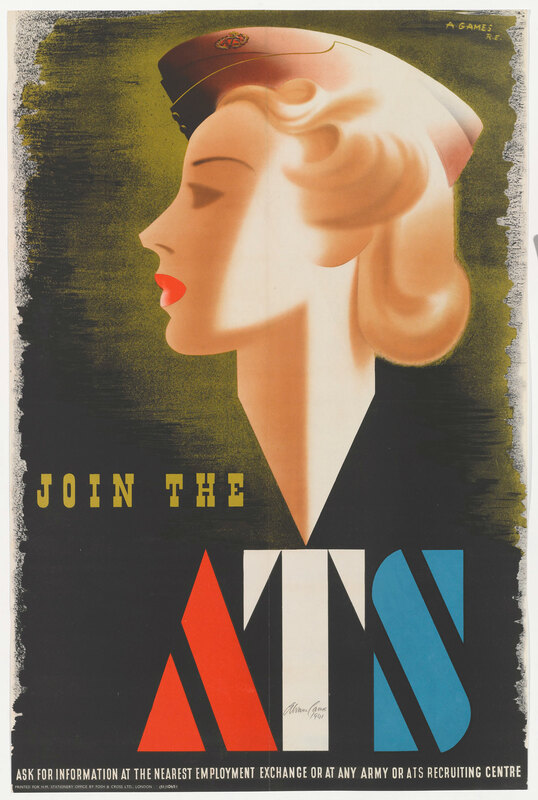 Both include some of Games’ best known works, such as ‘Join the ATS’ (otherwise known as ‘the blonde bombshell’), ‘Your talk may kill your comrades’ and ‘Your Britain fight for it now’. 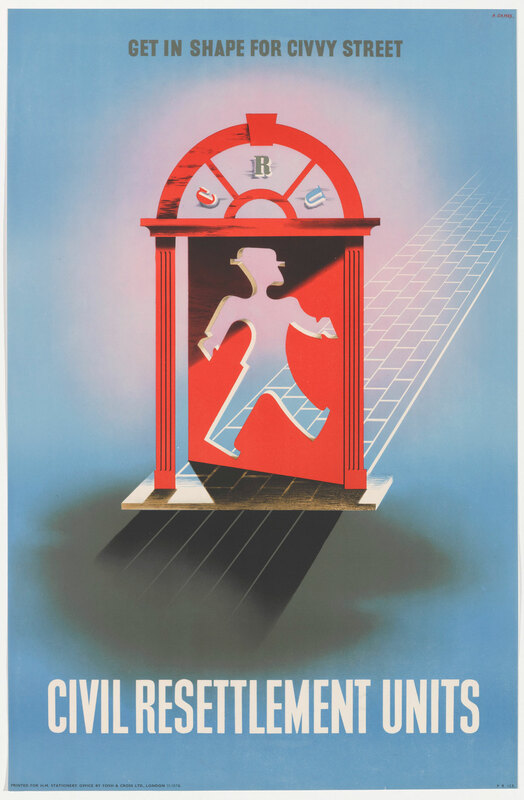 The exhibition will also display additional artefacts from Games’ archive, including his painting smock and palette, airbrush, an old school report, and the sealed pattern of his cap badge design for the Royal Armoured Corps. 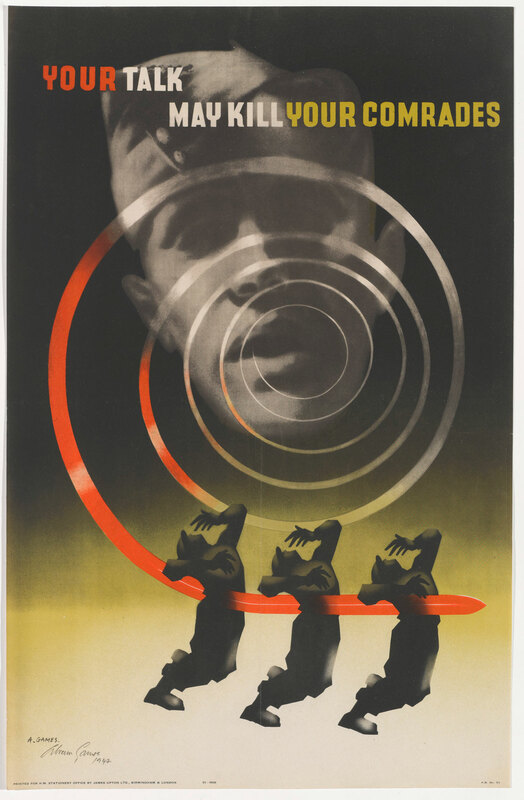 Both the book and exhibition are an apt reminder of Games’ talents not just as a designer but a propagandist, demonstrating how he created posters that recruited, informed and influenced soldiers and civilians alike during wartime Britain.